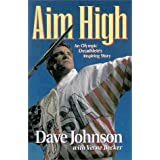 Aim High: An Olympic Decathlete’s Inspiring Story, by Dave Johnson with Verne Becker (Zondervan, 1994), 233 pages. Dave Johnson is a two-time Decathlon Olympian and current World Record holder for the second day events of the decathlon. He won the decathlon Bronze Medal in tine 1992 Barcelona Olympic Games while competing with a broken foot. He was made famous by the “Dan vs. Dave” Reebok ads of 1991-1993. This opened doors for other commercials and gave a platform for his to speak to youth from a viewpoint as a positive role model. After he retired from his Olympic career in 1997, he has served in coaching and education. In Aim High, Mr. Johnson describes how his parents were not home much, and he wanted to find his identity and be someone. He became a troublemaker. He said, “I did not want anyone else telling me who I should be or what I should do. I didn’t want anyone controlling me. When someone put any kind of restriction me, I immediately did the opposite. Laws and authority figures by definition set limits, so I sought to defy anyone those limits.” This is a definition of a sinful person apart from God. He became a leader of a gang of guys who vandalized, drank, stole beer (at one period of months over $5,000 worth), they broke into houses and stole things, and even harmed others. Two things stand out in the book to me. One is the evil possible when a person acts selfishly being his or her own god. The second is the wonderful transition that can come in a person’s life who surrenders their life to Christ. 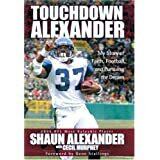 The story of a Christian young man who came from a small town in Kentucky, raised by a single mom, excelled in football at the University of Alabama, pro football MVP in 2005 as a running back with the Seattle Seahawks, speaker for Christ throughout the world, having led thousands to accept Christ, family man, and generous supporter and trainer of young men helping them on their way to maturity. 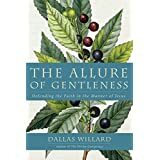 The Allure of Gentleness: Defending the Faith in the Manner of Jesus by Dallas Willard (HarperOne, 2015), 187 pages. Willard explained the nature of apologetics. “A biblical apologetic is the best use of our natural faculties of thought in submission to the Holy Spirit to remove doubts and problems that hinder a trustful, energetic participation in a life of personal relationship with God.. . . Now, this goes all the way from believing in God to believing the right things about God.” (page 39) “The ultimate apologetic is the life of the individual who is living out of the resources of the kingdom of God.” (page 143). As I read the book, I liked his emphasis on gentleness and joint discovery of understanding. I found interesting his discussion of reason, the myth of the big band, the myth of cosmic evolution, and the problem of evil and suffering. I had a hard time following his discussion of God speaking to us. I found his Renovation of the Heart very helpful. I have written a new book entitled God’s Word of Truth: Believing, Understanding, and Responding to God’s Word. When I was planning this book, I thought of what my Bible college experience taught me about the Bible. I learned why I can believe it to be the Word of God. I also learned principles for interpreting the Bible so I can do my best to understand the author’s intended meaning in any text. I also learned to take God’s Word seriously in my personal life and in the church. In this book I have stated basic information about believing, understanding, and responding to the Bible, the Word of God. Plans for publication in English are indefinite at this time. I shared my plan for the book with Sergei Golovin three years ago. Since then he has encouraged me to finish the project so it could be translated into Russian. I have sent the files with the manuscript to him and he has sent them for translation. Being deeply rooted in the God’s word, books by Dr. Lynn Gardner in Russian translation became very effective instruments for spreading the teaching of Christ in post-communist context of former Soviet Union countries. Those nations were deprived of the biblical truth for several generations and comprehension of it is pretty fragmented and incomplete quite often. Shortage of proper Apologetics often results in superficial and easy shakable beliefs; shortage of Exegetics produces unclear understanding of the Scripture; shortage of guidance in its application to one’s life restrains growth in Christ. That is why I was very glad to find out several years ago about the book, God’s Word of Truth, Dr. Gardner was planning to write with an integral approach to all three aspects of learning the Bible: why, how and what for. Now, when the book is complete, with great joy and praises to the Lord we are starting its translation into Russian for the greater glory of the Kingdom! Being deeply rooted in the God’s word, books by Dr. Lynn Gardner in Russian translation became very effective instruments for spreading the teaching of Christ in post-communist context of former Soviet Union countries. Those nations were deprived of the biblical truth for several generations and comprehension of it is pretty fragmented and incomplete quite often. Shortage of proper Apologetics often results superficial and easy shakable beliefs, shortage of Exegetics produces unclear understanding of the Scripture, shortage of guidance in its application to one’s life restrains growth in Christ. That is why I was very glad to find out several years ago about the book God’s Word of Truth Dr. Gardner was planning to write with an integral approach to all three aspects of learning the Bible: why, how and what for. Now, when the book is complete, with great joy and praises to the Lord we are starting its translation into Russian for the greater glory of the Kingdom! America the Beautiful: Recovering What Made This Nation Great, Ben and Candy Carson (Zondervan, 2012), 195 pages. What is America becoming and how can we regain what made America great in the first place? Dr. Carson reviews the past gleaning insights to help us chart a better course for the future. Here the reader will find the Carsons’ basic values and beliefs that they believe the founders put in place. They state where we have gone astray and what we can do about it. The book states what is good about America. 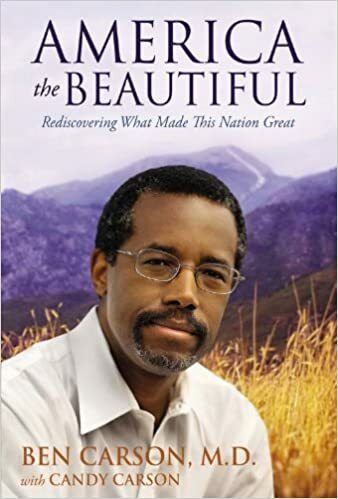 America the Beautiful would be a good resource to find out what Dr. Carson believes about our nation’s origin, capitalism, socialism, war, health care, liberty and justice, trust in God, and many other topics. Dr. Ben Carson is an independent and courageous thinker who knows our history, approaches problems in a deliberate common sense way, and is strongly committed to the Constitution and the way the founders set up our country to operate. 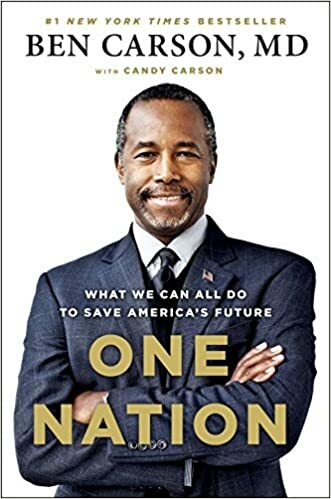 One Nation, Ben Carson and Candy Carson (Sentinel, 2014) 211 pages. Before Dr. Carson announced his candidacy for the presidency, he wrote One Nation. It functions as a platform for his presidential bid. The subtitle is What We Can All Do to Save America’s Future. He gives his analysis of the economic, social, moral, and political decline of America. He states how he believes the American people can save our country. He presents his common sense approach to problem solving. He deals with political correctness, elitism, ignorance, bigotry, bullying, dependence, disrespect, compromise, wisdom, vision, morality, courage, and other topics. For those evaluating Ben Carson as a potential president, this book is a good source to learn his basic values and beliefs. For those who think his knowledge is limited to medicine, this book shows the breadth of his knowledge. Dr. Carson appeals for Americans to courageously defend their rights guaranteed by the Constitution. Where Are the Miracles: Experiences and Testimony of a Doctor on the Mission Field (LifeChange Media,. 2015). Dr. Bare details experiences in his life and the lives of others that he cannot explain by natural processes. At one time he believed miracles were limited to Bible times, but undeniable experiences changed his mind. He tells of experiences in his life and in his missionary and medical work beginning in Thailand which convinced him that God intervenes in today’s world. Readers who question miracles occurring today are asked to consider his eye-witness report. All are encouraged to stand in awe at our powerful God. Where Are the Miracles gives eye-witness testimony to experiences which he believes demonstrate the supernatural hand of God. He does not try to force the reader to agree with him but asks the readers to consider the evidence and make up their minds. The book can be ordered from Dr. Garland Bare, Friendship Circle, Joplin, MO 64801. The cost of the book is $10.00, postpaid. 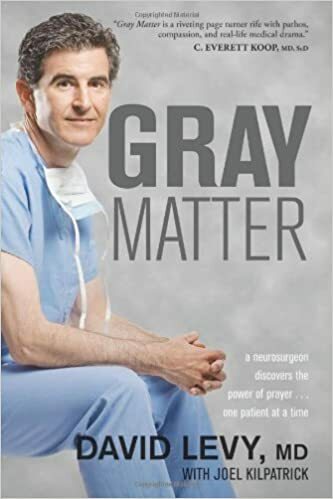 Gray Matter: A neurosurgeon discovers the power of prayer . . . one patient at a time (Tyndale House Publishers, 2011) by David I. Levy and Joel Kilpatrick. A neurosurgeon tells the story of the responses he received as he began praying with patients before surgery. This practice resulted in many spiritual benefits for his patients and the doctor. It helped him relate to his patients on a personal level. Believing that bitterness can be a roadblock to healing, he helps many of his patients overcome bitterness through forgiveness. Readers of the book will gain a greater insight and appreciation into the mind, heart, and skill of this neurosurgeon. Much can be learned about the delicate and exacting work of neurosurgery. 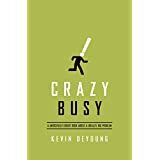 Crazy Busy: A (Mercifully) Short Book About a (Really) Big Problem, Kevin DeYoung (Crossway, 2013). He identifies three dangers to avoid. Busyness can ruin our joy. Busyness can rob our hearts. Busyness can cover up the rot in our souls. He discusses seven diagnoses to consider. You are beset with many manifestations of pride. You are trying to do what God does not expect you to do. You can’t serve others without setting priorities. You need to stop freaking out about your kids. You are letting the screen strangle your soul. You suffer more because you don’t expect to suffer at all. He concludes with one thing we must do to overcome crazy busyness. DeYoung openly shares his struggles with busyness and some ideas that have been helpful to him. Reading this 118-page book seems more like a face-to-face chat than an essay. In response to the overcommitted and stressed-out he offers not time management tips but rather commonsense insights. The book is for those too busy to read it, those slaves to their digital devices, those guilty of over-programming their children, those who take no time to rest, and to those exhausted at trying to please and control others. Restoring order in one’s life requires perspective, priorities, and discipline. I found Chapter 7 “From Deep to Deep” dealing with a digital addiction to be especially perceptive. While the digital age has many values, it also has some threats: addiction, diversion from spiritual focus, and a loss of privacy when millions can intrude into your life most any time. DeYoung gives some suggestions for making your digital devices your servant rather than your master. Crazy Busy was chosen as the 2014 Christian Book of the Year by the Evangelical Christian Publishers Association. Read it. You’ll like it! Packer divides older folk into the “younger olds” (65-75), the “medium olds” (76-85), and the “oldest olds” (85 plus). Our secular society views retirement as a time to “Relax. Slow down. Take it easy. Amuse yourself. Do only what you enjoy. . . . Practice self-indulgence.” (page 27). Packer rejects this view. As we grow older, we face limitations, but we want to live to God’s glory and grow old gracefully in service to God and others. The Bible views aging as a time of increasing wisdom, discernment, and encouragement. “So far as our bodily health allows, we should aim to be found running the last lap of the race of our life, as we would say, flat out.” (21-22). Packer rejects the view that our bodies keep us from the fullness of life. As we age our bodies limit what our souls would like to do. But it is wrong to think that our personal self (our soul) would be freer and happier separated from the body. God gave us bodies to live in for “experience, expression, and happiness.” Even though our bodies wear out, our zeal for serving God should not decline. After serving Christ in our younger years, we must not withdraw from serving our Lord. “Spiritual gifts and ministry skills” do not “wither with age” rather ‘they atrophy with disuse.” (64). Seniors can continue learning, leading, and growing spiritually. We should “cultivate the maximum zeal for the closing phase of our earthly lives.” (72). Zeal is “priority, passion and effort in pursuing God’s cause.” (74). Our zeal is fed by our hope of “an eternal enjoyment of God’s glory and beauty in ways that we cannot at present begin to conceive.” (1 Peter 1:3-9; 2 Corinthians 4:16-5:10). After we die, a new body awaits us. This hope is an invigorating and refreshing force as we age. Seniors can offer service through opportunity, maturity, humility, and intensity. The “powers of the body, memory, creativity grow less. So their conscious focus on the hope of glory should grow sharper, and their meditation on it grow more joyful and sustained.” (96). Instead of retreating from service, seniors should welcome further service as extended health allows. 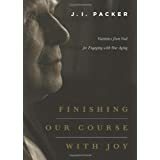 Packer, who includes himself in the oldest olds, challenges seniors to use their older age as a time of learning, leading, and service. He encourages them to continue to glorify God and finish their lives with joy. This easy-to-read book is a light of inspiration and encouragement in a time with its share of dark clouds of disappointments and discouragements.